The Cooneen Ghost is perhaps one of the most famous ghost stories in Ulster, and indeed Ireland. The story describes how the Murphy family was plagued by a poltergeist at their home near Cooneen in Co. Fermanagh between 1913-1914. 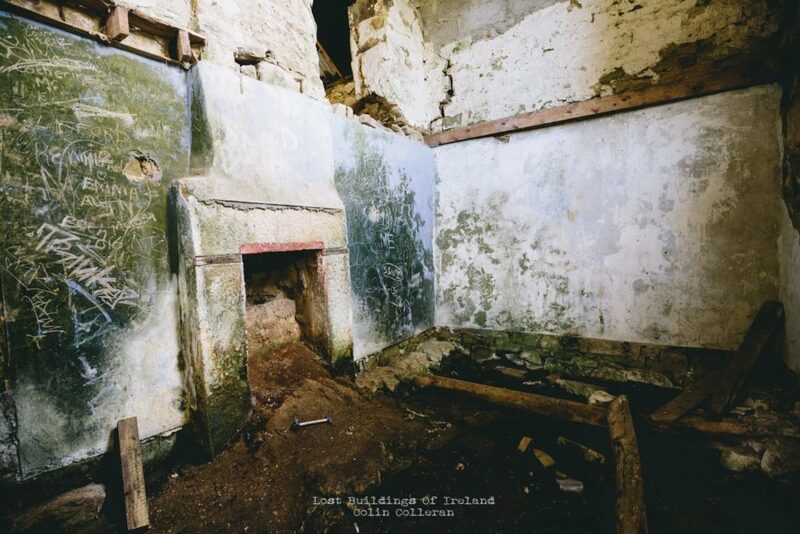 The Cooneen Ghost House even featured on the BBC series ‘Northern Ireland’s Greatest Haunts‘. The following is an extract from Shane Leslie’s Ghost Book, published by Sheed and Ward, New York in 1956 on the Cooneen Ghost. 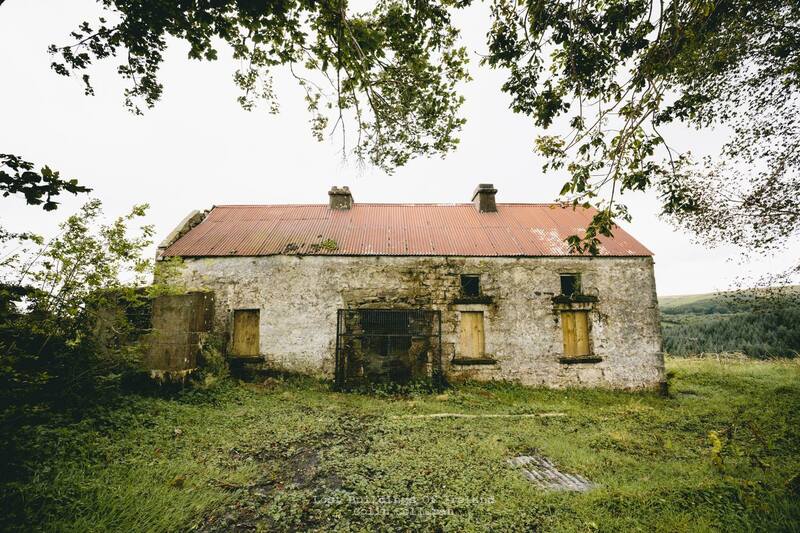 The poltergeist at Coonian [Cooneen] near Brookborough, County Fermanagh, dates from 1913-19I4. Father Hugh Benson had promised to come and investigate but died in October 1914. It was at different times investigated by three priests, from whom I collected the following notes. Incidentally I learnt that Cardinal Moran, when Bishop of Ossory in the seventies, sent three priests to investigate two nieces of his own in Kilkenny aged 14 and 15, who became subject to noises and obsessions. These all ceased after Exorcism. In the Coonian [Cooneen] case Bishop McKenna of Clogher, deciding it was diabolical, deputed Dean Keown to exorcise it, but the dean withdrew leaving it to the bishop. As in the Derrygonelly case and so many others, bewildered and innocent girls, touching puberty, became unconscious mediums enabling mischievous forms of spirit life to manifest themselves. The house had passed from Burnsides to Corrigans, to Sherrys and Murphys, under whom troubles began. The Sherrys occupied it one night only, but kept quiet and sold it six months later. When the Miss Murphy’s lay by the fireside, the pillows were torn from under their heads. A priest told me that he heard it snoring in the dark and sitting on the bed it felt like snakes moving under him, and when a light was lit, a human bulk was seen to collapse under the sheets and then develop a new swelling while the snoring started afresh. It showed Protestant hostility to holy water which seemed to infuriate it for it played back the tune of ‘Boyne Water.’ He placed the sacred Pyx where there was a noise, which sank underground but still sounded from the depths. He investigated more than fifty times. It came down like the sound of straw in the air. It operated on a bed with testers in a corner, where three or four young girls up to eighteen slept. Once he saw a human form raised under the sheets of an empty bed until it collapsed. He described it as like an animal moving underneath. He felt fear when it was spitting at him or lapping like a dog or escaping under him on the bed. He always addressed it as ‘Johnny.’ When it was asked to play ‘The Soldiers’ Song,’ the tune came in taps. Another priest described going there one night and finding a mother and two girls sleeping on pallets round the fire away from the haunted room. The moment the children returned to bed, there was a sound like a kicking horse. The bedclothes were thrown across the room. He held the children by their four hands with one hand and laid the other one over their feet. When the phenomena continued, he was convinced the children could not have produced them. At the suggestion he made that it came from a far distance – from Hell – there was a big hiss. He stood with his hand on the bed and challenged it. There was clearly something like a rat moving around his hand under the clothes. He had a shock and the feeling of an eel twisting round his wrist but no farther. It did not dare touch his consecrated hand! He remained there till four in the morning. A canon of the diocese told me he went about sixteen times. Once he heard a musical noise in the ceiling. He said: ‘Perhaps it will whistle.’ It did whistle. There was certainly an intelligence working behind and he was as certain of ghost as of his being alive. It fooled us as it was contradictory and gave nothing definite about itself. Holy water was use copiously. It was vexed and fled more and more along the wall while the knocking became more pronounced. Mass was said in the kitchen where henceforth relief and sleep became possible for the Murphys. When the children sat on a stool, the noise continued round them. When I cracked my thumb, it cracked louder. We asked for nine raps for yes and they came. They tried it in Irish and Latin successfully. They asked: ‘How many of us were born in County Monaghan?’ Answer correct. They asked: ‘Could you put the dog from under the bed?’ The collie came out dancing mad, with fire from his eyes. A famous horse-dealer invoked it in the presence of visitors from England. It answered accurately with raps how many of them had been born in Ireland. ‘How many horse-dealers present?’ It thumped under his chair. The first time he investigated he left a pony trap outside. The lights were mysteriously put out and the pony was terrified. The driver said someone had passed several times in the same direction but never returned. Later a teacher had his bicycle lights mysteriously put out. The Parish Priest was weak and nervous about the ghost. The clergy were divided in opinion. The old ones kept away, but the young curates leaped in where angels might fear to tread. The girls were expected to produce results every time and did so, for two curates believed they had caught them in fraud, when the ghost was not sounding. The girls were avoided at crochet class for no one would sit by them. When they took refuge in neighbours’ houses, it always followed them. As the Parish Priest would not believe them, they marched to his house and after that he believed, for it came down his back! It was noised abroad that the children themselves, three of them, ranging from 9 to 13 years, were making the noises on the wood at the head and bottom of the bed. On this particular evening there were nine or ten in the room, the knocking all around fairly vigorous, and although none of us there believed that the children were knocking, I suggested that two men in the room should come over and hold the hands and feet of the children so that a false rumour should be disproved. They did so. I sat on the bed-stock also. The knocking continued as usual but much more vigorously, for ten minutes, when suddenly the two men rushed away saying they were being punched and pushed off the bed. They would not return. I was not pushed away from the bed, but something moved close to my back up and down the length of the bed. I was not afraid, and remained for five minutes or longer. This killed the rumour that the children were making the noises. It was also rumoured that some of the family read bad books and had the ‘Black Art’, etc. This was quite untrue. I think it was the same night that a sheep dog belonging to the family came into the room. I put him under the bed and said something like this. ‘Whatever is there, I would ask you, if you have the power, to put this dog out.’ Suddenly such noises, all around the bed, as never were heard, burst out and frightened us all, with the result that the dog rushed out, nearly knocking me down on his way. No inducement could get him, freely, to come into the room afterwards. Now I am going to relate the most remarkable incident I experienced during the whole time I spent in Mrs Murphy’s. Our usual course, whether Father S. and I went together or singly, was to go before the family retired. You may remember that I told you that when the first ‘manifestations’ were made, the Bishop, Dr McKenna, was notified about them. He told Father S. to say Mass in the house. There were three apartments in the house. He said Mass in the kitchen, which was the middle one, and as this was done at a very early period, the children could, from that time, sleep undisturbed in the kitchen. When Father S. and myself visited the house we usually had the children put in their own bed, which was in the room to the right as you entered. Sometimes the knocking, etc., would commence vigorously as soon as they would go to bed; otherwise less vigorously, perhaps very mildly, or perhaps not at all. Sometimes it did not start for about an hour after they went to bed. On this particular night there was no noise in the children’s room although they had been in bed for more than an hour. The rest of us were sitting around the kitchen fire chatting when I asked James, unknown to the others (he was an intelligent boy of about 25 years), to get a candle and matches. We went to the other room on the ground floor where no one was sleeping. This was fairly large room; two windows with blinds drawn, a bed covered with a white quilt, also some chairs. We stood the middle of the room in almost complete darkness, and listened. For five minutes all was silence. Suddenly we heard the tramp diagonally across the room upstairs, of something like the footfall of a fairly large dog or sheep. It continued. We listened. James said there was nothing in the room above but some chaff and a bundle of straw. The room was being used as a barn and was reached by stone steps on the outside at the gable end. Leaving James where he was, I took the candle and matches, went out, up the steps and stood at the door for a few minutes. I then walked round the room three times. The barn was as James described it. I heard or saw nothing. I returned to James who told me that the ‘tramp of the dog’ had continued all the time. James then went to the barn, and I remained below. It had the same result. Nothing above and ‘the tramp’ of the dog heard below. Very soon after we were standing together in the middle of the room. Something that I cannot describe and did not see, rushed down, practically touching us, and went into the earth. For the first time we were really frightened, but soon we immediately noticed that the tramping above had ceased. I then said to James that it was breaking day and to pull up the blinds. He did so. Day was dawning, as it was summer time. We clearly saw the room and immediately noticed, although there was no wind blowing in the room, that the bed-clothes were moving up and down fairly fast, especially in the centre of the bed. I actually went and held my hand over the bed and tested the matter for two or three minutes. After that, we went to the kitchen, where the family, Mrs Murphy, her two grown-up daughters and I think Father S. or possibly some neighbour were chatting. We had been absent about half an hour. We told them what had happened. They wondered, took their chairs and stools, came to the room. The movements of the bed-clothes were gradually getting more pronounced, vigorous, and defined. The whole thing resembled the form of a person lying diagonally across the bed in his or her death agony. The centre where the clothes were heaving most was where the chest would be. Soon we could hear the heavy breathing, the gurgling in the throat, the symptoms of pain. It resembled what country people would call ‘a hard death.’ From the time they came from the kitchen the whole death-scene occupied ten minutes at least. Finally, the movements and death-symptoms ceased and the room was as silent as the grave. I only saw this scene once, but heard that there were further such manifestations later on, but I can’t vouch for their truth. Soon after this scene I was transferred from Maguiresbridge to Fintona. But I heard afterwards that old people from the locality said that in the ‘olden days’ an occupant of the house hanged himself in that room. I cannot vouch for this. Now I come to item No. 3 which is as strange in its way as anything else recorded. Some time near the end of my time as Curate of Maguiresbridge I took it into my head that possibly other members of the family were ‘affected’ as the people said, and that possibly one of the full-grown daughters, Annie aged about 20, or Mary about 22 years, was affected. So I went in the middle of the day, alone, saw Mrs Murphy and asked her to tell me the whole truth about the matter. She told me that Annie was ‘affected’ and that it did not develop until Mass had been said in the kitchen. Being a big girl, the mother said, and I agreed, that we should not let it be known publicly. The mother sent to the field where she was working. She came in. I brought Mrs Murphy and herself to the bedroom on the right where there were so many ‘manifestations’. I told her to stretch herself out on the bed and then threw a rug over her. To my great surprise from the ceiling above the door which led into the room from the kitchen, a peculiar rush immediately came, until it reached half-way down the wall and then turned at right angles until it reached the head of the bed where the girl was and then the knocking commenced most vigorously. I asked her to rise. She arose, and immediately the same rush, distinctly audible, rushed back, turned at right angles and into the ceiling. I then asked Mrs Murphy to get into the bed. She did so and there were no manifestations. I asked Annie to go again. She did so, and whatever came, came by the same route and departed as before. I tried Annie twice more with the same result, and also Mrs Murphy with a negative result. This to my mind was very strange indeed. Any person in the room could hear the comings and goings as distinctly as the ticking of a Grandfather’s clock, but the noises were five times louder on this occasion. The final item is – soon after the manifestations commenced Fr- was out on a sick call. He was passing Murphy’s, on returning, and had the Blessed Sacrament with him. The noises were great around the bed that night. Fr- and some of the neighbours were in the room. So, after lowering the light, Fr—took out the Pyx and made the Sign of the Cross with it, over the bed unknown to the others. He had no sooner done so than all the noises imaginable were made before the evil spirits departed, and did not return that night. The people in the room threw themselves on their faces and were terrified thinking Fr – was about to be attacked. I heard the story of the terrible noises afterwards, and of what they believed was an attack on Fr – from some of the people who were present. They did not know he had used the Pyx. This is a summary of all my experiences. It remains to be added that the family retreated to America, where they were no more troubled. The gallant clergy, who made such constant efforts on their behalf, seem to have been the worse for it. One priest had a nervous break-down, another spinal meningitis and the third facial paralysis. No doubt, matters would have been more successful if the Exorcism Service had been performed as the bishop wished, but it was too serious a matter to lay as a command on any member of his Chapter. It was not a ghost but a poltergeist obsessed by truly Demoniacal powers. The Curé d’Ars was perpetually assailed by such poltergeists between 1824 and 1858. Far from gaining the mystic peace of the contemplatives he found himself definitely at war with these evil manifestations. Whatever the persecutions which he endured, he found they were always followed by consolations. Incidentally the approach of great sinners to his confessional was always heralded by the fierce attacks of baffled spirits. 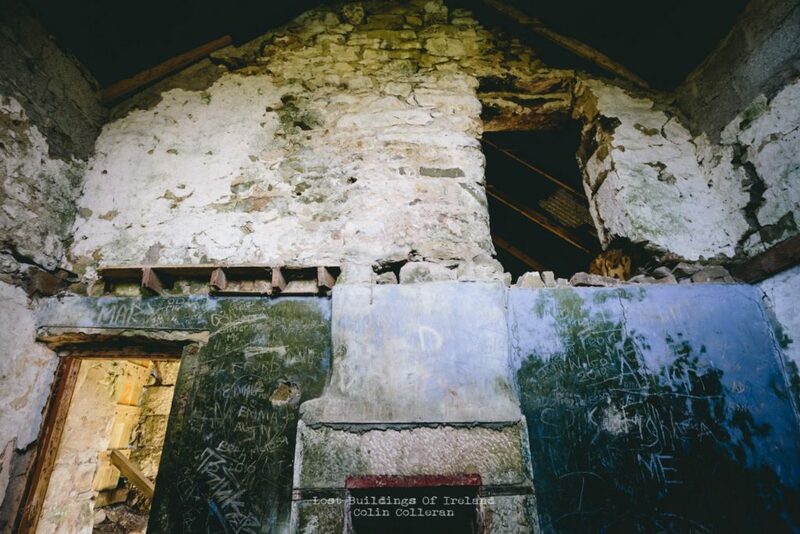  Archived in General and tagged cooneen ghost, fermanagh, ghost stories, ghost story, shane leslie. Bookmark the permalink.